Access all your information from a single, unified platform. Schedule your file retention and disposition using built-in IG software. Use your current DMS thanks to software integration. Rely on FileTrail, a 20-year veteran of the records management industry. #1 in Records Management and Information Governance. "I would recommend FileTrail to my peers because of their ability to tailor the system to every firm or organization’s needs. I like the abilities that FileTrail provides administratively that do not require programmer knowledge. It is very intuitive for us to make administrative changes to the system on our own. I would recommend it because FileTrail is always staying on top of or ahead of the emerging needs for their clients. " Your information should work for you. We specialize in unifying how organizations manage their electronic and physical business information assets. 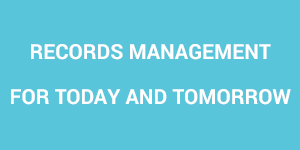 We have reimagined Electronic Document Management, Physical Records Management, and file tracking by creating a configurable platform that fits the needs of any organization. Eliminate guesswork and unnecessary hassles. With FileTrail, you know that your files are secured, controlled, accessible, and only a few clicks away. Working with IT to configure necessary changes can be a long, drawn-out process, and often requires multiple people to push a simple modification through. FileTrail’s user-friendly configuration gives your organization full control over individualizing your system without involving IT or wasting unnecessary resources. Ensure that only the appropriate members of your team are able to access files or edit their associated data. Eliminate the need for shared drive file storage with FileTrail’s centralized and unified repository. Do you know where all of your critical documents are located? Do you have access to the most recent version of collaborative content? Have you had to endure the aftermath of losing essential folders or files? There are few things as frustrating as trying to locate updated versions of content, misplaced folders, or records on-site– especially when you need them right away. FileTrail’s search tool quickly locates relevant electronic and physical records, details who has accessed them in the past, and provides key information about the record through a simple unified view. And thanks to user-friendly configuration, your interface is custom-tailored to meet your company’s needs. Abandon the hassle. With FileTrail, your content and records are always only a few clicks away. Documents, emails & records all on a unified interface. Classifying, securing, archiving, and disposing of information. Collaborating, versioning, and searching electronic documents. Creating, labeling, storing, and retrieving physical records. Incorporating client feedback and ideas has led to solutions that fit the specific regulatory and operational needs of a business.